We have a very important race for Congress here in eastern Iowa. Congressman Bruce Braley will be challenged in District 1 by the Republican nominee Ben Lange, who barely lost to Braley in 2010. Lange benefitted from 1 million dollars from the American Future Fund to invest in negative advertising. Let me be perfectly clear: Bruce Braley has been a shining light in Washington as a representative demonstrating the highest degrees of integrity, intelligence and resolve in a time of crisis at home and abroad. If we want to “improve” government, we need to keep the representatives of Bruce Braley’s caliber in office and push back the irrational, untruthful voices that challenge them. Braley eloquently stated, “The disabled single mom in Waterloo who receives modest Social Security benefits did not cause this recession. Grandparents in Davenport who need to see their doctor didn’t crash the stock market; yet that’s what today’s Republican budget says to Iowans and other middle class families.” Lange supports the Republican budget and agenda. I went to Ben Lange’s website to see where he stood on the issues, and they are, essentially, as they were two years ago; casting blame for the economic crisis in the wrong direction and offering solutions that are manifest of that misunderstanding. He believes that going back to the policies that strangled the middle class and put more people under the poverty line are in the best interests of Americans and his party cloaks a platform to line the pockets of a rich minority with rhetorical platitudes like, “opening the free market” and calling it constitutional integrity. Bruce Braley believes in giving tax breaks to small businesses and middle class families. He supports fiscally responsible legislation such as “Pay As You Go” spending and the “Reduce Unnecessary Spending Act” to reduce the federal deficit. And decreasing the growing burden placed on students by stopping increases on interest rates for student loans. Braley’s support of the Recovery Act was to improve an economy in free fall by investing in infrastructure, education, and health care, to offset the previous economic neoliberalism that opened America’s pocketbook to a rich ruling class. Can anyone disagree with Braley’s work to honor Iowa’s veterans by making sure they receive the benefits they deserve? We need real integrity in Washington, not bloviated rhetoric based in erroneous claims of historical patriotism. 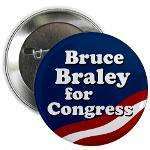 We need more people like the one we have representing us in District 1 in Iowa; we need people like Bruce Braley. 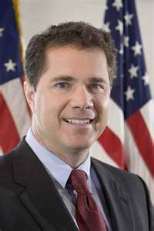 You must be <a href="http://garyhasissues.com/wp-login.php?redirect_to=http%3A%2F%2Fgaryhasissues.com%2F2012%2F05%2Fbruce-braley-for-congress%2F">logged in</a> to post a comment.